This cool Paris apartment belongs to a hair and make-up artist team, who have since turned in their brushes to follow the scent of a rose. 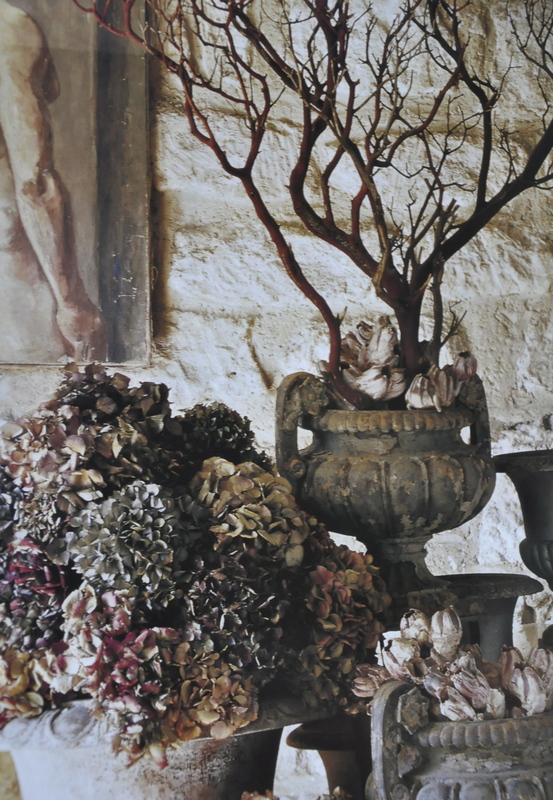 In their amazing Paris shop Odorantes, they are mixing antique objects with a profusion of exceptional roses in an athmosphere of undergrowth. 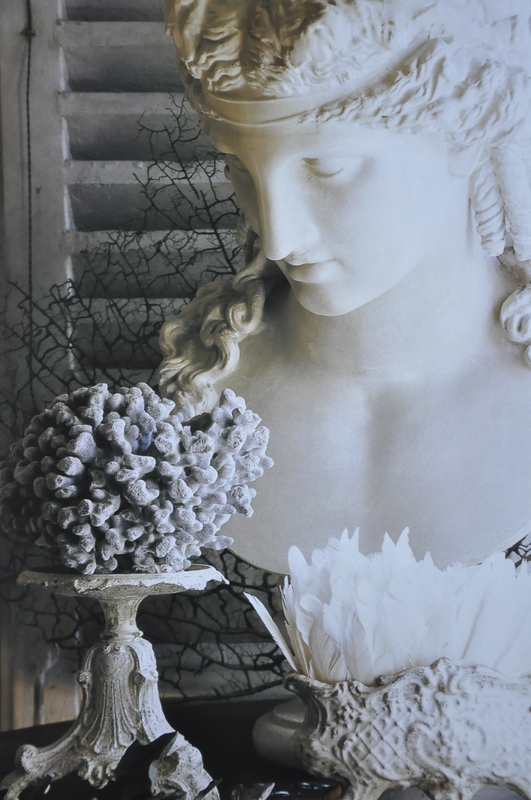 Their talents as event designers is sought by everyone who is anyone in Paris. 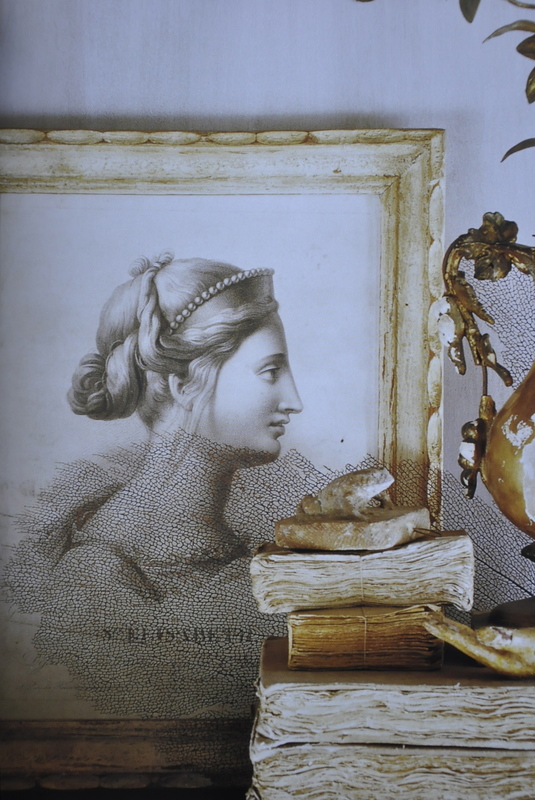 Givenchy, Céline, Chanel and many others are devotees of their flesh-colored and black roses. 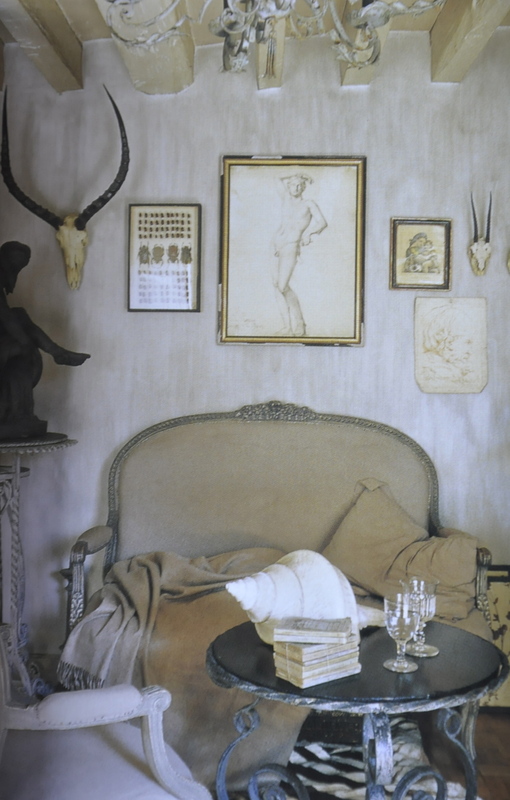 With a penchant for eighteenth century style, they have applied their prodigious talents to their apartment in the Halles neighbourhood of central Paris, creating a magical atmosphere with their market finds. 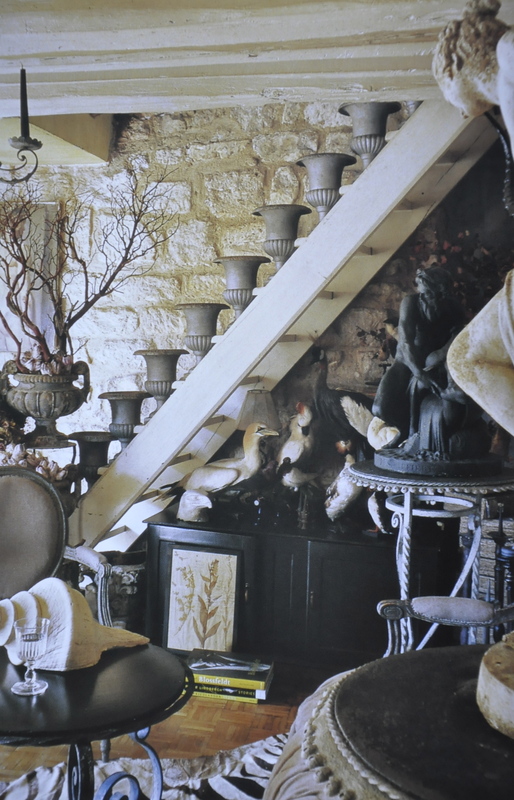 A set of Medici vases adorns the staircase, below which resides some of their collection of taxidermy, which includes a swan, seagulls and cockatoos. 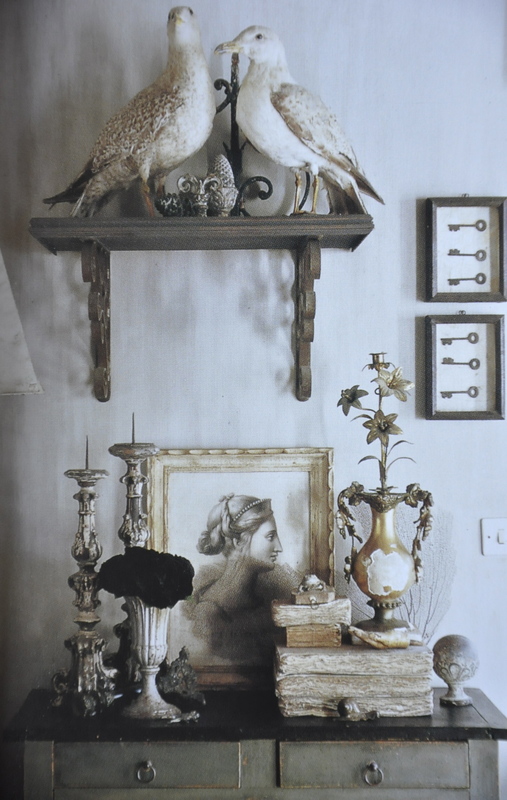 The bluish gray of the dried hydrangea, matte gray of zinc, stormy gray of wrought iron, and the gray of patinated furniture all blends delightfully in this study in gray. This sideboard with its black painted top serves as a sublime altar for Saint Elizabeth. 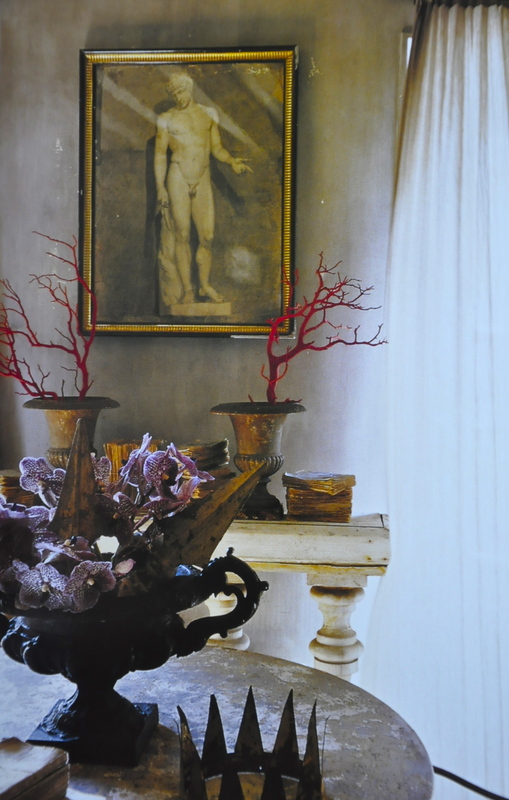 A Medici vase with Black Wanda orchids sits atop a nineteenth-century garden table in the company of a crown from a production of operetta King Lear. A greenhouse table overlooked by Neptune and framed specimens of beetles.